Lee Rawles joined the ABA Journal in 2010 as a web producer. She has also worked for the Winston-Salem (N.C.) Journal and Legacy.com. She holds an M.S. in New Media from Northwestern University’s Medill School of Journalism and a B.S. in journalism from the University of Illinois. 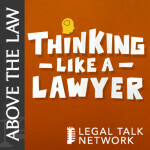 Lee is the host of ABA Journal: Modern Law Library, the 2016 Lisagor Award winner for Best Podcast. 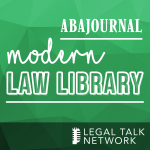 In this episode of the Modern Law Library, moderator Lee Rawles chats with Above the Law’s David Lat about his novel Supreme Ambitions, his career, and his time as the anonymous author of the sometimes-scandalous blog Underneath Their Robes. Read more about Lat and his book at the ABA Journal.